I created, made, and photographed this recipe about a year ago. This post has been sitting in my drafts since then. I can't remember the recipe. All I can tell you is that it is a rich, dark chocolate pudding infused with lavender. Think it'll taste like soap? I was skeptical, too, but this is so good. I prefer lavender desserts that include chocolate. Anything vanilla-lavender, lavender-honey, etc. - does taste a bit like soap to me. 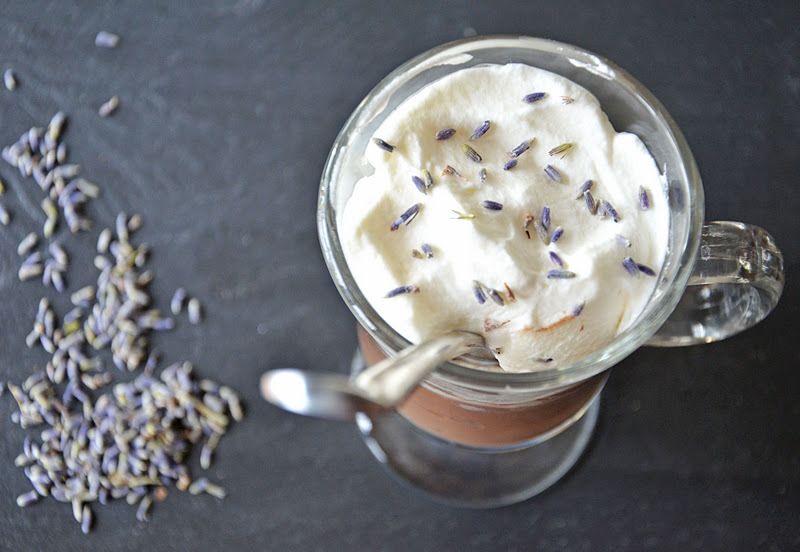 Want to try your chocolate pudding infused with lavender? It's easy. 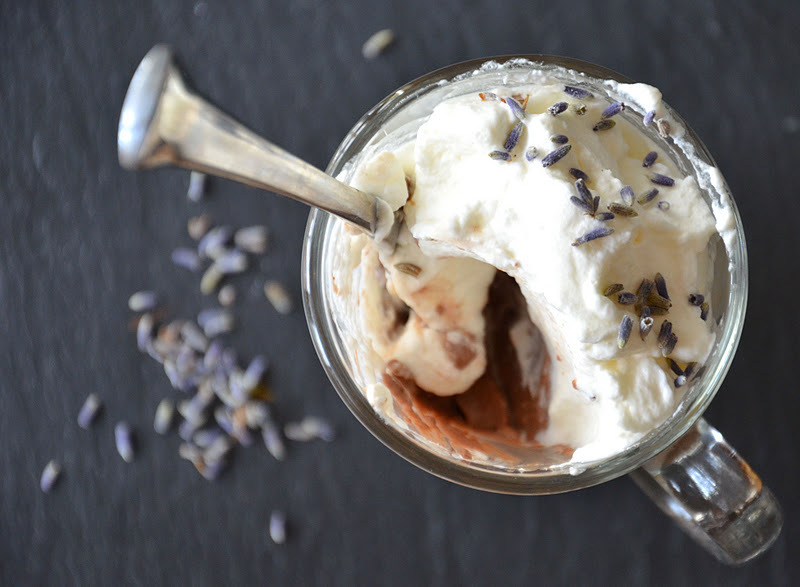 Use your favorite chocolate pudding recipe (or even a box mix) and infuse the milk it calls for with lavender. Add about a tablespoon of lavender to the milk and heat it just to scalding, strain through fine mesh to remove the lavender, then use the milk as directed in your recipe. Voila! 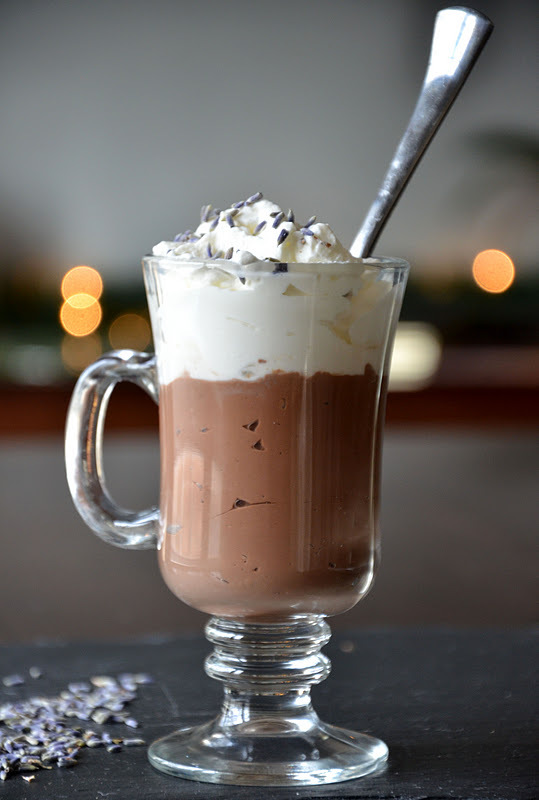 Enjoy this spin on chocolate pudding. The sound is great...Thank you. I really would have it.I will try it make this .